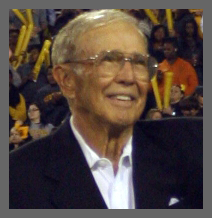 Mississippi Sports Hall of Famer Bucky McElroy, one of Southern Miss’s all-time football greats, died Wednesday in his hometown of Monroe, La., after a long battle with cancer. He was 83. McElroy, inducted into the Mississippi Sports Hall of Fame in 1981, was a standout running back at both Hinds Community College and USM. He was inducted into both of those schools’ halls of fame.